David, the son of Jesse, is a heroic character in the Old Testament. In the war between Israel and the Philistines, he killed the giant Goliath, who was more than six cubits tall and armed to the teeth, with nothing else but a sling. Therefore, numerous works are established to eulogize him, including literature, music, sculpture, etc., among which the most famous ones are the sculpture of David by Michelangelo and Bernini. Despite that the sculptures are of the same character and same story, the two artists chose to demonstrate David from different perspectives. Michelangelo is a greatest artist in the Renaissance period. In his twenties, Michelangelo sculpted the famous David which is 2.5 meter in height. In contrast to traditional representation of David, Michelangelo chose to present his audience the character before his encounter with Goliath. In the work, David stand confidently, his eyes sternly watching ahead, with his left hand holding the sling and right hand some weapon unknown. The strained limbs, inclined torso, and furious look in the eyes indicates the tense emotion David is experiencing through and the determination to defeat the giant Goliath. David is an idealized character in Michelangelo’s work. 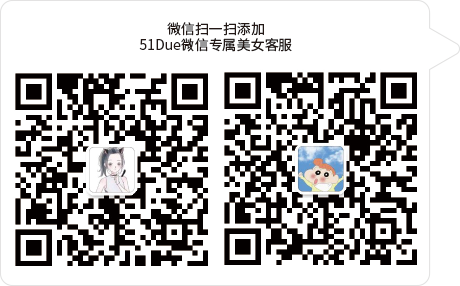 He has refined features and proportional physique: bright eyes, aquiline nose, thick hair, full of muscles. But nobody feels envious about this person because of his sublime feature that he fights against formidable enemy to protect his country and the innocent public. Such perfect figures are often the theme of Renaissance works. In contrast to the ideal David, this 1.7 meter sculpture by Bernini seems more like an actual person: his hair messy; his mouth tightly closed; his eyebrows knitted; his body twisted. Bernini tries to represent his audience the combat scene by catching “the split-second of maximum action” (Kleiner, 562). David twisted so forcefully that it seems like that David is launching a stone at the foe right the next second. And because of this active moment sculptured by Bernini, David by Bernini shows great tension and intensity about the coming combat unlike Michelangelo’s David who shows confidence about the combat. Also, Bernini is an expert at dealing with details of his works: even the wrinkle of his bag and sling is well presented. One interesting of the David sculpture by Bernini is that he “carve[d] the face [of David] after his own likeness”(Mangone,682), which shows his confidence in himself. As said previously, David by Michelangelo is confident about the triumph of the coming combat through his expression and his body, while the other David is intensively nervous because the combat is about to happen and he is ready to fight any moment. Also, Bernini and Michelangelo deals with light and shadow differently. The lines in Michelangelo’s David is mostly horizontal or vertical so that there is almost no shadow in the whole sculpture but Bernini utilizes complex composition, leading to great contrast between light and shadow. As a result, the left David is more like a perfect person who can be classified into a God instead of the shepherd boy, while the other is more vivid. However, the factor that causes the difference is not only the stylistic difference between Renaissance and Baroque, but also difference in the historical and cultural contexts when those sculptures were created. David by Michelangelo represents Renaissance humanity. In the period of Renaissance, people just experienced the darkness of middle age and realized the power of human beings. The ideal David manifests the beauty of human being and the power that lies in human body. Moreover, the creation of David is related to Michelangelo’s patron to a certain degree. Italy during Renaissance period was suffering from numerous wars. As a passionate youth who loves his country, Michelangelo participated in the combat to protect his homeland. But the failure disappointed him. Therefore, he had nowhere to express his agony but through his works. 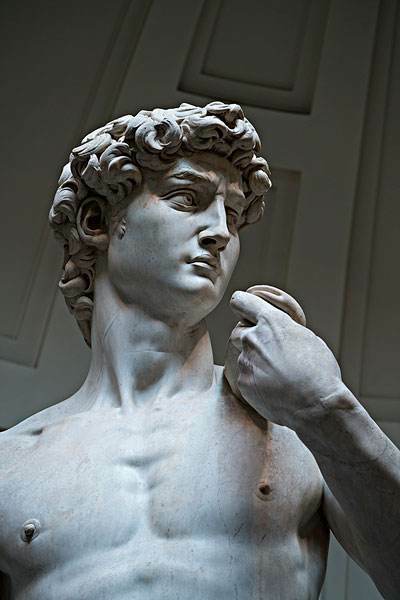 The ideal heroic figure of David manifested the desire of Michelangelo as well as the entire Italian people, that such a powerful man can help save their homeland. In contrast to turbulent period that generated the creation of the perfect David, the time when Bernini lived was experiencing fierce counter-reformation. The Pope, in order to maintain paramountcy of theocracy, hired artists to create extravagant paintings, sculptures, buildings, etc. In this context, Bernini emphasized more on details and elaborate ornaments of David in contrast to Michelangelo’s depiction of the hero. As the saying goes, the comprehension of Hamlet varies from reader to reader. So is the comprehension of the hero in the Old Testament. Michelangelo and Bernini are two great artists from different ages that have created the masterpiece of David. Due to the difference of historical and cultural contexts and schools of art they belonged, the manifestation of David is in contrast to each other. Michelangelo’s David was eternal and stable while Bernini sculptured a dynamic and passionate hero. Kleiner, Fred S. Gardner’s Art Through the Ages: The Western Perspective. 14th ed. Boston: Wadsworth, 2014. Print. Mangone, Carolina. “Like Father, Like Son: Bernini’s Filial Imitation of Michelangelo.” Association of Art Historian (2014): 667-687. Print. “How to Recognize Baroque Art.” Term Paper. https://www.khanacademy.org/humanities/monarchy-enlightenment/baroque-art1/beginners-guide-baroque1/v/how-to-recognize-baroque-art. Web. 29th Apr. 2017.